I recently read a news report which said that planning for Varanasi’s development is in high gear. This is welcome news. One of the highlights being touted is a scheme for ‘sixty flyovers’ to reduce traffic congestion. This is hardly a highlight. It is shortsighted to look at Varanasi’s planning as that for any other modern city. 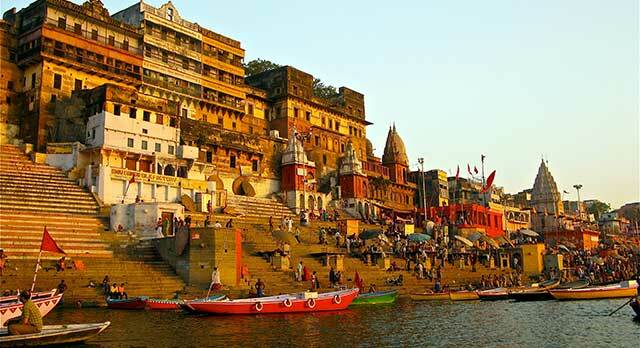 The charm of Varanasi is precisely the opposite – that it is the oldest living city in the world. To enhance Varanasi’s status as a world tourist destination, there is need to highlight and preserve the Varanasi that is redolent of thousands of years of the Indian civilisation. In this regard, we can learn from Europe and cities like Bruges in Belgium, a UNESCO World Heritage site that I visited a few years ago. Europe is discovering that the key to revitalising cities is not more flyovers but less automobile traffic. Pedestrian zones and non-motorised traffic areas enhance human elements of city life. Large parts of Varanasi should be made traffic-free. Innovative public transportation including low-speed electric vehicles and traditional carriages can serve these areas and add to tourist charm. Rather than planning with concrete and tar, ancient brickwork will make stepping into the city a walk into a bygone time. Bruges is one of the foremost tourist spots in Europe as its central city is preserved to give a feeling of stepping back in its thousand-year old heritage. For Europe, a thousand year is a long time. For the US, a hundred year is a long time in history. India, where our history goes back many thousand years, we have less regard for it. But Varanasi needs to be an exception. Rather than modernising Varanasi, the focus should be on its beautification and cleanliness. Ugly telephone pole and electricity wires need to be moved underground. The city should be made plastic and garbage-free. Rather than trying the difficult task of changing the Varanasi’s culture of chewing pan and spitting, spittoons should be placed at various spots. These can be aesthetically designed and integrated into the feel of the city and cleaned regularly. If Varanasi can be kept clean, and enabled to retain a sense of what the city was a hundred, five hundred or even a thousand years ago, tourists will stream in from all over the world. People will not come to see its flyovers. They will come to embrace its ancient spirit. We can use technology in Varanasi- electric vehicles and underground wiring – but it should be hidden and out of sight. Let Varanasi preserve the feel of the Rasa of ancient India. And when tourists come, let’s not serve them coke.